When a message bounces due to a Hard Bounce or Spam Complaint, that address will be deactivated. Any emails you send to this address in the future will be disregarded. This is done to remain polite to the ISPs and improve delivery, as well as keep your database clean. 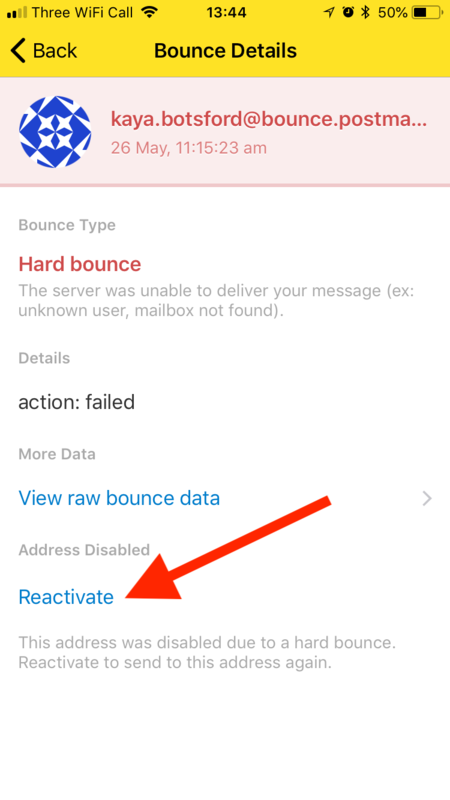 It’s possible to activate addresses that were disabled due to a Hard Bounce through the iOS app. This should only been done if you’re sure the reason for the initial bounce has been resolved. Addresses disabled due to a Spam Complaint cannot be activated in the app. 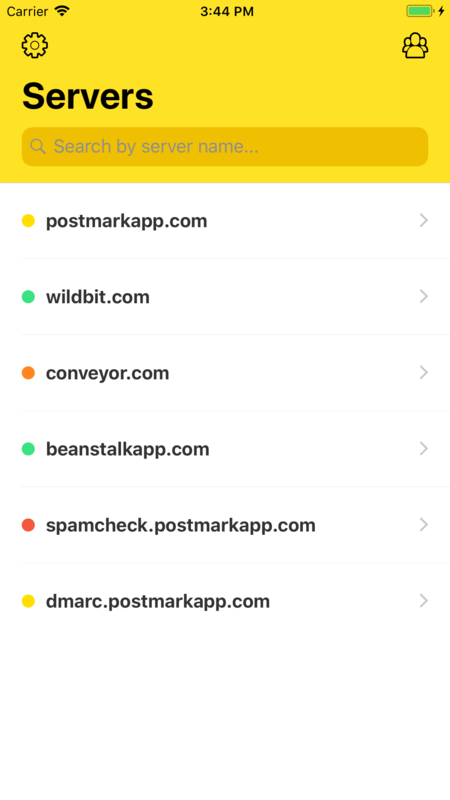 Start by selecting the server you sent the email from that bounced. 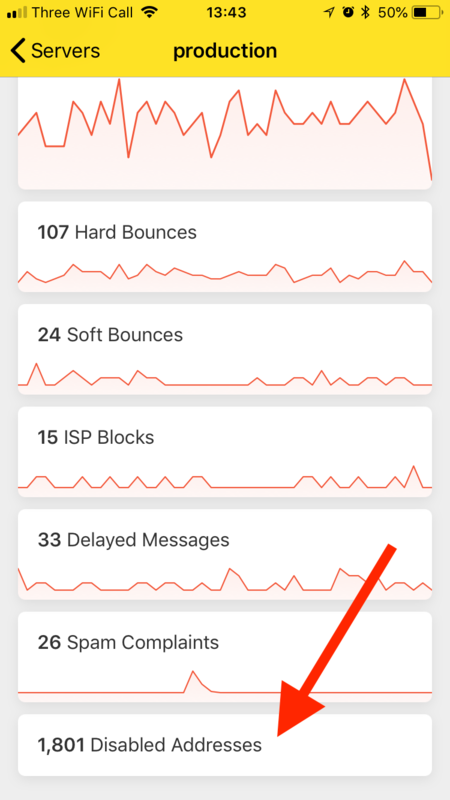 Tap the "Disabled Addresses" tile at the bottom of the server stats screen. Use the search box to find the email address you wish to activate. 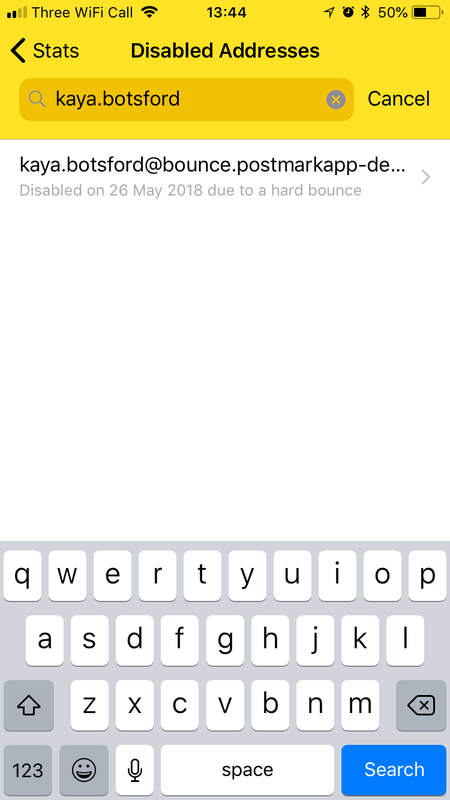 Once located, tap the address to open the bounce details screen. Tap the "Reactivate" button to activate the email address. You will now be able to send emails to this address again.